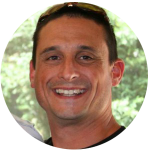 The company had outgrown the first generation of their platforms and needed to put a strategy in place for growth. 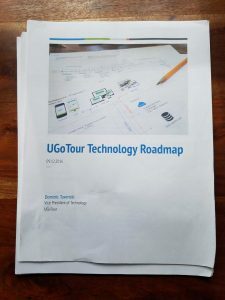 I was engaged to craft a technology roadmap that would enable scalability, improve operational efficiencies and position the business for rapid growth. The scope of the technology roadmap included mobile & web applications, company website, code bases and frameworks, servers and databases, content development work flows, digital asset storage, CRM platforms, data gathering and analytics, and marketing. The project kicked off with the discovery of business and technical needs, as well as an in-depth review of existing systems and work flows. Current technologies and processes where mapped and an analysis of cost, efficiencies and capabilities was conducted. 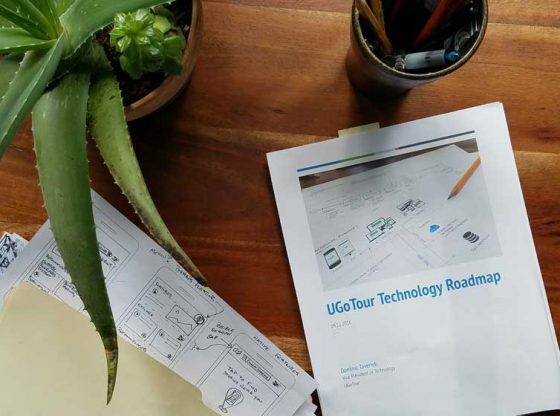 UGoTour has outgrown many of its current systems and requires a plan that will both stabilize interim solutions and plot a path that will allow for future growth, capabilities and innovation. 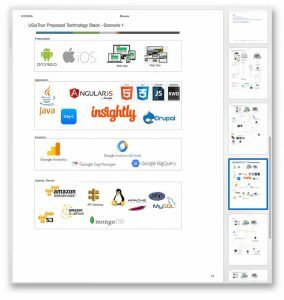 In addition to identifying and architecting a tech stack that the next generation product would be built on, an integration plan for internal systems was defined and a product roadmap for launch and feature rollout was developed. 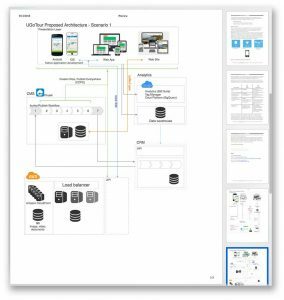 With a wholistic view of company-wide technical and process needs, data flow from the first touchpoint with customers, captured in the CRM, was tied to content production and authoring activities, the DAM, and ultimately front-end presentation through the mobile and web apps.